As a youngster Conor Coady struggled in the youth academy, not because he did not play well, at times he was truly outstanding, but because he was labouring under the 'next Steven Gerrard' label. It was an easy comparison to make, not just because he is also a Scouser, but because they were a similar build as youngsters and even a similar running style. There were times you could watch him powering forward with the ball and it was impossible not to make the comparison, as it was so like him. Unfortunately for Coady, he was never allowed to develop his game as a box to box midfielder, which was most suited to his abilities, as he was often used as a centre back and found himself regularly shackled in midfield as a holding midfielder. With England he managed to captain them to the U17s European Championship title, becoming the first England captain to lift a trophy in 17 years. Despite this, he was never given a real chance with Liverpool, always on the verge of a breakthrough, but never given a chance to get the run of games a young player needs. Eventually he ended up on loan to Sheffield United, where he spent the 2013-14 season proving himself ready for first team football, but despite that Liverpool allowed him to join Huddersfield Town for a fee of £330k in the summer of 2014. One season there was enough to impress Wolverhampton Wanderers to the point that they paid nearly £2m to take him to the Midlands club. This short compilation clip of his season at Huddersfield brings up a few more Gerrard comparisons, as he shows off good vision, a great range of passing and the ability to hit a goal from the edge of the box. He always has that tenaciousness, the will to win that drove Gerrard on when the odds were against him. It is something he is going to have to fight hard to come out from under the shadow of, but, as his career goes on I think he will gradually become accepted as the player he is, not what people want him to be. This is a lad who is potentially good enough to be playing in the Premier League now, but having been badly underused by Liverpool, he is now having to fight his way back up. One thing that his time playing in defence and defensive midfield is that he has learned good positional sense, making him capable of playing as part of a midfield pair, rather than needing a third man in there to protect the defence. Wolves' fans can look forward to seeing a lad with a desire to prove himself, and the ability to do so, after seeing what he has done so far. Meanwhile Liverpool fans can look at what he has done and wonder if he would have been a better option than Joe Allen in midfield last season. While Huddersfield and Blades' fans will be wishing they still had him in their midfield next season. If Wolves can keep him, and develop him as a player, they have a young lad who is a future captain and capable of leading them back to the Prem. I would like to see him given a little more license to get in and around the edge of the opposition box, as he has shown he can finish. The one with the outside of his foot, in particular, in the 3rd minute of the Sheff Utd compilation showed a touch of real quality in his shooting. Coady is an old school footballer, he does not want to roll around on the floor feigning injury, he wants to get stuck into a battle and earn a victory. It is evident in the way that the fans took to him so quickly at both the Blades and Terriers, even getting his own chant in his first season, that he is the kind of player that fans at the game grow to appreciate. Is he the difference between Wolves gaining promotion or once again missing out on the play offs? Yes he probably can be that difference. On his game he can win that vital midfield battle and turn losses into draws and draws into wins, at this level. Whether he will be ready to do the same in the Prem is a different matter, but certainly the potential is there. Not the potential to be a new Steven Gerrard, he is never going to be that, but he does have the potential to be a regular fixture in the midfield for a Premier League team. He has all the attributes of Steven Gerrard, the driving runs, the goals from the edge of the box, the desire, the vision and the range of passing, but none of it quite at the level Gerrard had. Coady does have a much better understanding of the defensive side of the game, rather than having to charge in making last ditch tackles every time, he tries to position himself correctly to reduce the need to dive in and risk giving away free kicks and penalties. 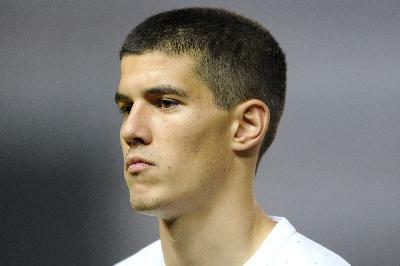 The question is if, in years to come, will be talking about the 'next Conor Coady'? It seems unlikely, but he had the right attitude, unlike so many other young players these days.